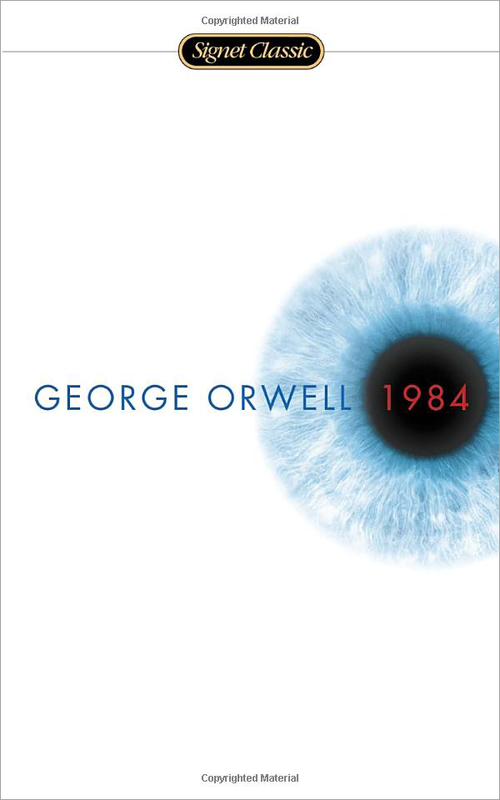 1984 is the kind of book you dearly wish were pure fiction, but unfortunately isn’t. What if the mere act of independent thought was punishable by torture and death? What if we lived in a society where you constantly had to delude yourself to keep up with the government’s public manipulation and falsification of historical records, to such an extent that you even had to forget about deluding yourself or indeed that any such forgetting ever took place? Welcome to the dystopian world of 1984, where the constant audiovisual surveillance by the Thought Police on behalf of the all‐​powerful Party is all but successful in eradicating individualism – forever. 1984, also known as Nineteen Eighty‐​Four, was written by Eric Arthur Blair, better known by his pen name George Orwell. It’s arguably his most famous work, and certainly a classic if there ever was one. I finally got around to reading it, and even though it was written in 1948, I’m worried by its continued relevance. The novel is set in Airstrip One (formerly the UK), a province in the superstate Oceania, which is in a state of perpetual war with the other two superstates in the world. We’re following Winston Smith, an employee in the Ministry of Truth, which is concerned with the constant falsification of news and historical records contradicting current government statements and opinions. Through Winston, we get a detailed glimpse into a society where children are indoctrinated to become their parents’ worst enemies; where the act of procreation is, well, just that: doing your duty to the Party; and where the very ability to speak and think unorthodox thoughts is actively being eroded away due to the adoption of a constructed language called Newspeak. But even removing the ability to speak or think unorthodox thoughts is not enough for the Party, who – to ensure they can stay in power for all eternity – seek the ultimate control over all humans: Their very minds and souls. This is not done through some fictional, fantastic device that would allow directly controlling minds; it’s far more subtle than that. The Party employs misinformation, social manipulation, and more to make sure that you will love the Party with all your heart and of your own volition. Anything else is crimethink and will be picked up by the Thought Police, adept at spotting the slightest changes in poses and facial expressions, who will torture you, break you down and rebuild you according to their desires before publicly executing the new, sincerely repenting you. 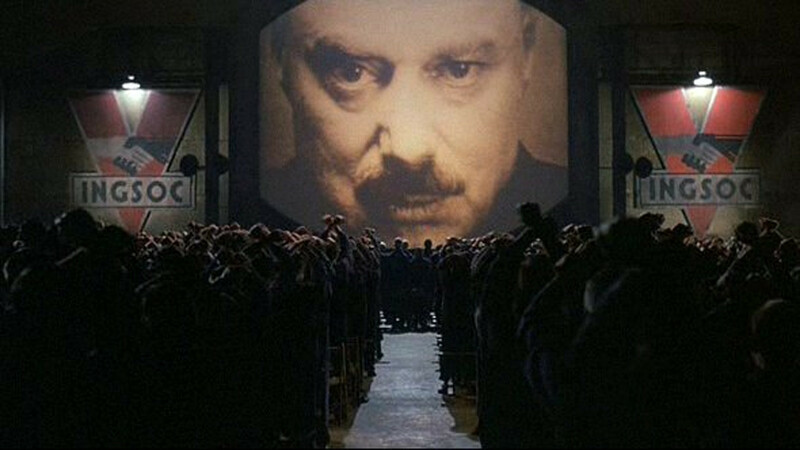 1984 details, in some ways, how the ultimate totalitarian state might work, describing deeply cynical and twisted ways to keep a population under total control. One of the many interesting questions it delves into is what kind of self‐​delusion is required to live in a totalitarian state that even controls the past, rewriting history to suit the current needs of the Party. For example, Oceania is currently at war with Eurasia, and has always been. Any change in allies and enemies would mean that the Party is fallible and not the keepers of absolute truth. Therefore, you can’t remember that just last week, the enemy was Eastasia; once the Party officially anounces that Oceania is at war with Eurasia, you have to forget the previous fact, then forget that you ever had to forget such a fact. This is part of what’s called doublethink in Newspeak, and anyone valuing their life loving the Party and Big Brother will do this entirely subconsciously. 1984 is certainly not a walk in the park. It’s bleak and horrific, dark and foreboding, even downright uncomfortable at times. While Winston’s dismal observations about human nature is accompanied by his unflinching hope and belief that good will, eventually, triumph over evil, the tone of the book indicates the opposite. Just as uncomfortable as the book itself is its continued relevance. 1984 can be read and re‐​read and interpreted in ever more ways as time passes. Whereas Orwell might have wanted to warn about the dangers of Soviet and communism, the book covers sufficient topics that it can point to current issues such as the excessive power of mass media, political propaganda (even in the western world), the pervasive government surveillance revealed by the Snowden leaks, and now also post‐​truth politics. And these are not just current issues on the far horizon; I found it hard not to think of present‐​day North Korea while reading, with the godlike status of their leader and the government’s absolute control, distortion and fabrication of information. I truly wish that 1984 was purely fiction. It’s not, though, and that’s why we still need to read and re‐​read it. Oh, and it’s really well written. Go read it already! The Cold War might be over, but other threats to our society make this book still just as relevant. Read it!